3 evenings of the Ambassador of Polka Music and Fun. 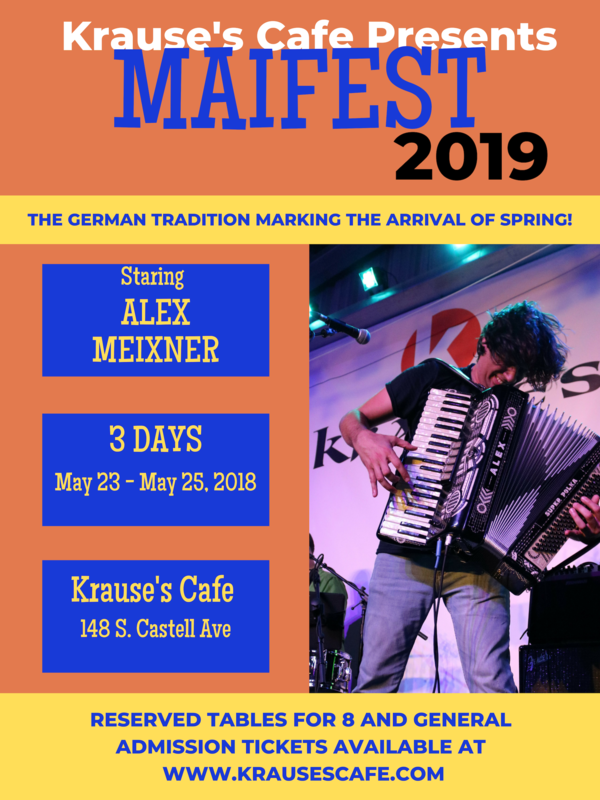 Alex will showcase his versatile playing styles through pop music, funk, jazz and polka. Sit back, enjoy, and order one of our 70+ brews on tap, signature cocktails, or a feature from our wine selection. Or, come early to dine on one of our specialty German dishes or good ol’ American fare. The evening is sure to be a memorable one!